Its getting close to Easter time again and the supermarkets have had Hot Cross Buns on the shelves for a few weeks now. There is absolutely nothing wrong with store brought, but there is just something about making your own that really appeals to me. 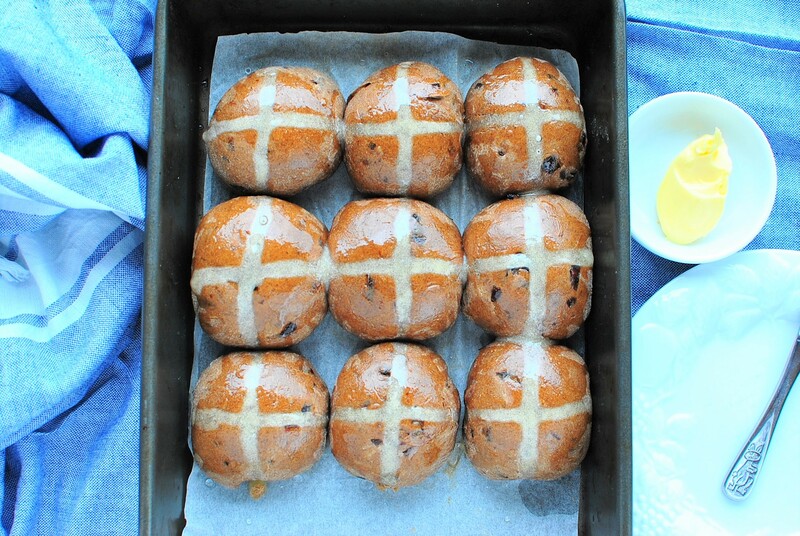 If you have a bread maker then these Hot Cross Buns are SO SIMPLE and you can tailor the flavors to suit your own tastes and control what actually goes into them. In our house we really love our Hot Cross Buns with LOTS of spice flavor hence the quantity of spice, feel free to adjust, but I have to say, I made at least five batches before being happy with the amount of spice. It is not overwhelming and seems to get a little lost in the dough. I cannot imagine how some recipes that only called for a teaspoon or two of spices would even taste like a good Hot Cross Bun!! No Replies to "Hot Cross Buns (Bread Maker)"